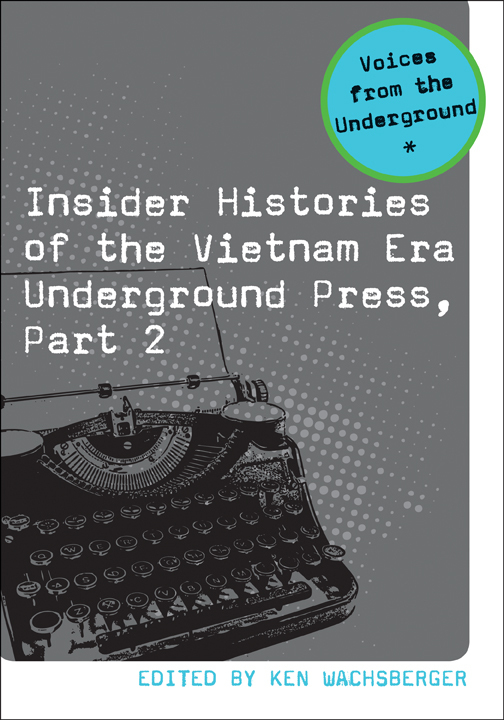 This enlightening book offers a collection of histories of underground papers from the Vietnam Era as written and told by key staff members of the time. Their stories, building on those presented in Part 1, represent a wide range of publications: countercultural, gay, lesbian, feminist, Puerto Rican, Native American, Black, socialist, Southern consciousness, prisoners’ rights, New Age, rank-and-file, military, and more. Wachsberger notes that the underground press not only produced a few well-known papers but also was truly national and diverse in scope. His goal is to capture the essence of “the countercultural community.” This book will be a fundamental resource for anyone seeking a deeper understanding of a dramatic era in U.S. history, as well as offering a younger readership a glimpse into a generation of idealists who rose up to challenge and improve government and society.